The Grungy Gentleman Spring 17 show this past week unveiled a collection for a new generation of sporty, sensible men. The menswear brand showcased a variety of pieces by designer Jace Lipstein, each with different purpose but similar style. The Grungy Gentleman is a gentleman who goes from work to gym to play, carrying with him an effortless sense of self and practicality. This gentleman appreciates the finer things in life, but maintains a casual air nonetheless. 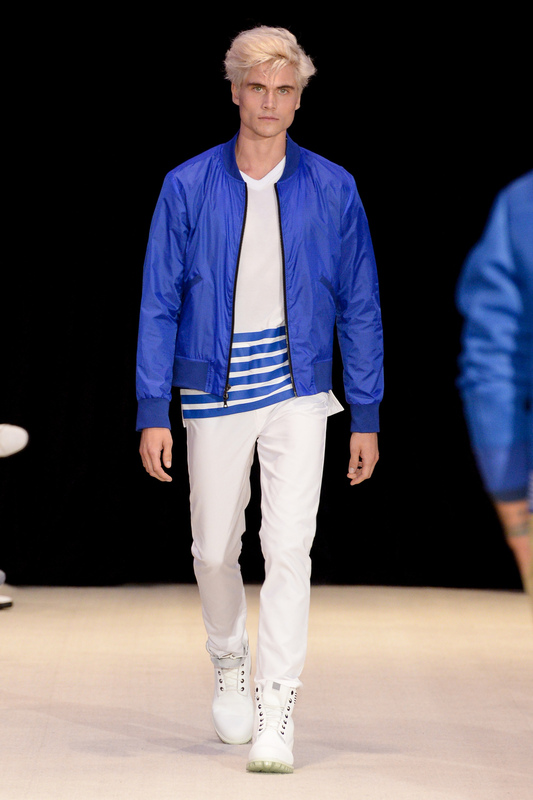 The collection included everything from button ups to bomber jackets to swim trunks, all in neutral shades of white, navy, khaki, and black. A majority of the pieces featured a signature multiple stripe detail, marking the collection cohesive and adding the Americana flair that summertime often calls for. The shoes were provided by Timberland Boots. The show, hosted at the W Hotel, featured custom “Grungy Gentleman” and “Catwalk” cocktails by Ciroc, gift bags by Nivea Men, and a live DJ to keep the crowd lively. A lively crowd it was, as many of the audience members fit the athletics-meet-fashion profile that Grungy Gentleman has cultivated. Keeping with this athletic sensibility, many of the models carried football helmets and other sports equipment with them on the runway. Who ever said contact sports and fashion were mutually exclusive, anyway?